Not your average online store. Today more than ever it is important to be where your customer is. Whether customers shop on your website, on their iPhone or on Facebook – you need to be there. The challenge is to extend your business’s sales capabilities to as many online platforms as possible, without creating more overhead management than you can handle. Our e commerce software provides you with the ability to manage your products, customers and sales through one portal, while distributing your products to your online store, Facebook, eBay, Google, Yahoo and more! Cross browser and cross platform shopping – no problem. 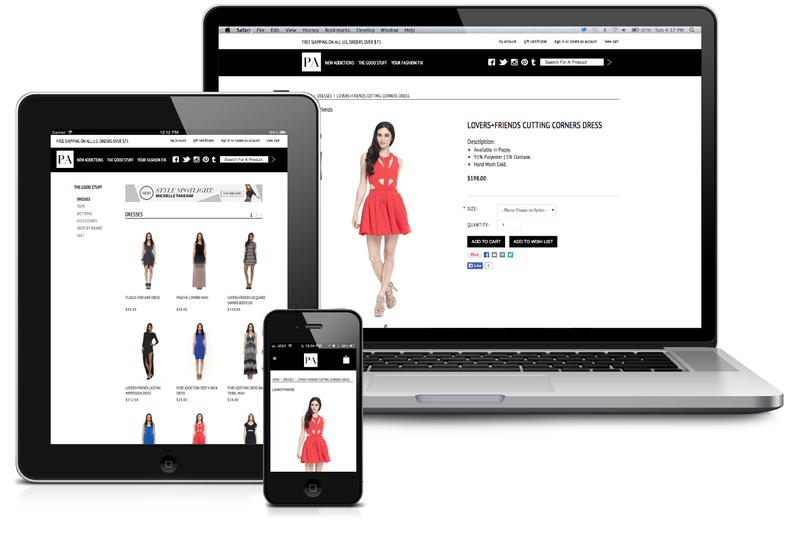 Our ecommerce software automatically provides iPhone, iPad, Android and Blackberry native store templates so your customers can conveniently shop on your store on any device! See for yourself why our ecommerce software provides more valuable features right from the start than any other on the market today! Full featured management software with total control over products, categories, payment, shipping and more! Facebook Ecommerce Stores – customers shop right on your Facebook page! Setup your own affiliate program and let users promote your products for you!